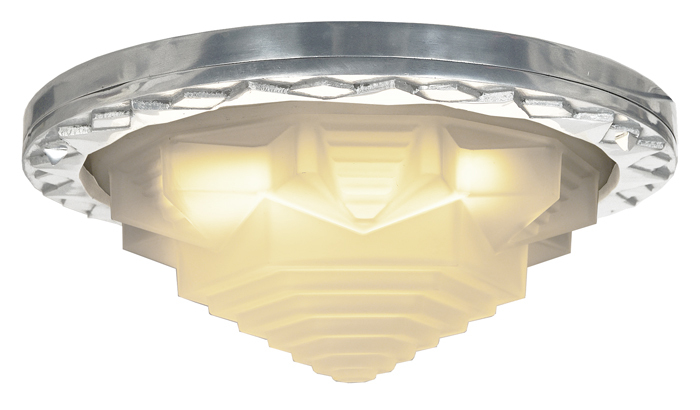 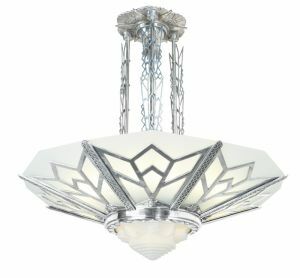 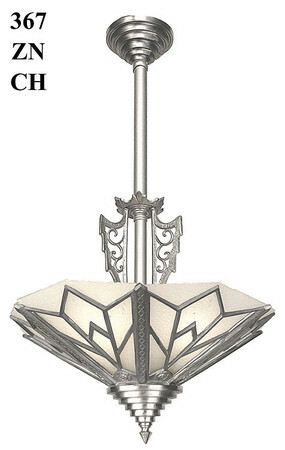 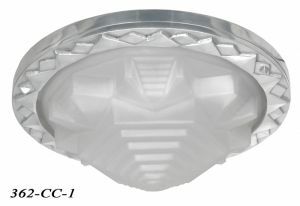 Special Art Deco low ceiling light designed by KENK. 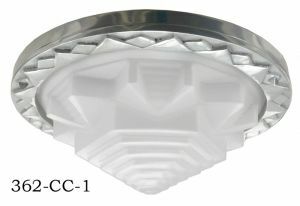 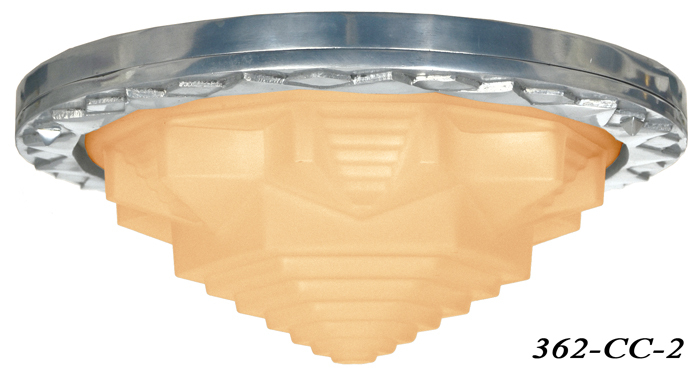 Fantastic Art Deco designed low ceiling light, uses 2(two) 100 watt UL rated sockets which provides a total of 200 watts brightness. 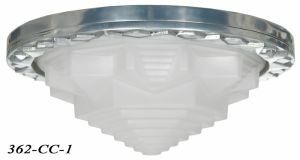 A problem with lights against the ceiling can be heat against that very ceiling. 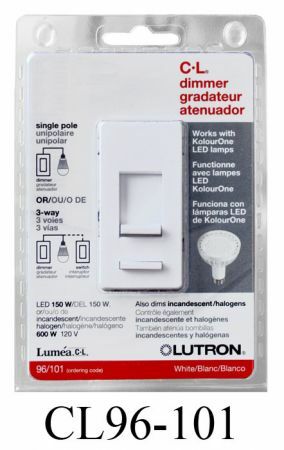 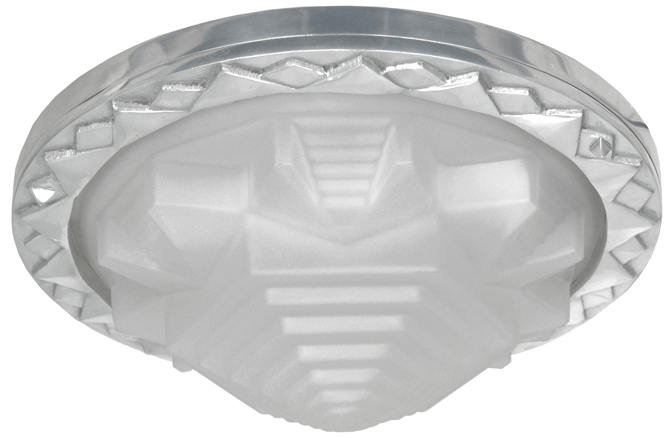 We recommend using our 9W-E26CN-X or 45G-E26B LED bulbs. They produce a minimum amount of heat for their light output. We also supply a layer of insulation that must go against the ceiling to complete a three way protection scenario. 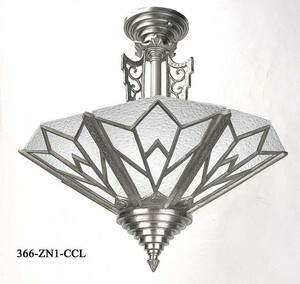 The rim is cast and lathe turned for the reception of our gorgeous Art Deco shade. 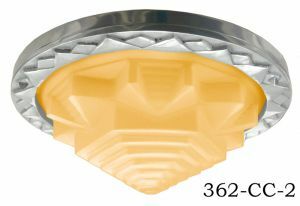 The saw-tooth decorated rim is applied using three removable pyramid-headed set screws, which can be easily removed for light maintenance. 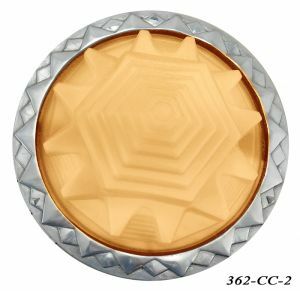 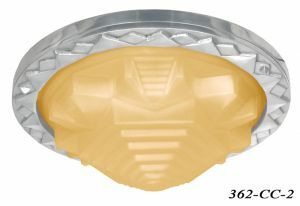 Shade Diameter: 14 ½", available in Frosted or Amber. These lights are shipped ready to hang, with a mounting kit included for a complete solution. 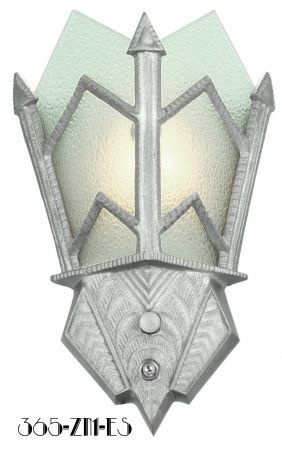 This begins a series of lights using this great deco shade. 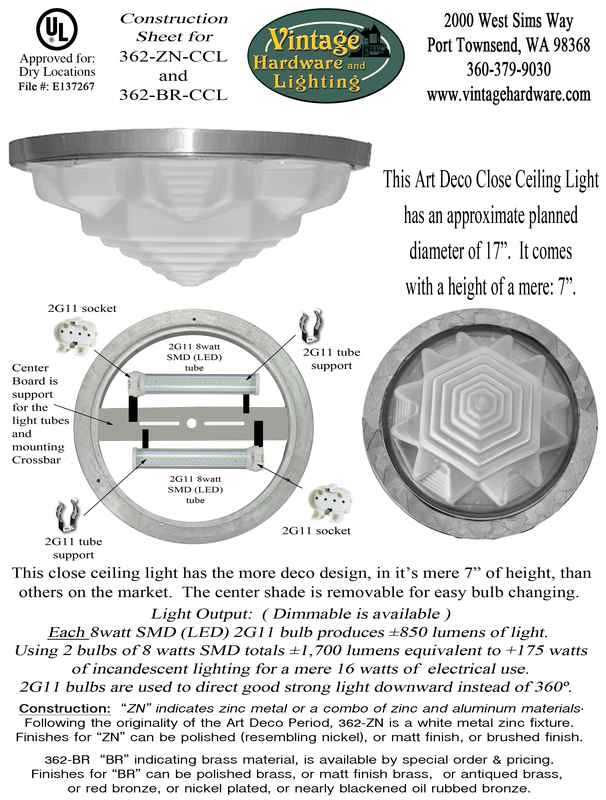 This format will also be available in a hanging model for taller ceilings. 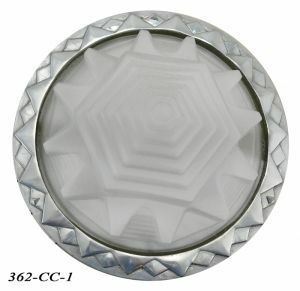 If interested...let us know and we can put you on the notify list.